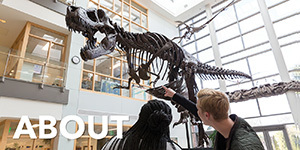 Applications for study abroad during the same academic calendar year (German Friendly Society, Deutscher Brüderliche Bund) and for the following academic year (Eady, Fall 2019/Spring 2020) are due by February 16, 2019. Students need only submit one copy of the application for all scholarships. 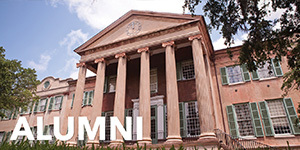 Recipients will be selected by the College of Charleston German Faculty and will be notified within three weeks of the deadline. The Elizabeth Anne Eady Memorial Scholarship was established by the family and friends of Liz Eady, Class of 1991, as a celebration of the life of an extraordinary young woman. While Liz died unexpectedly at a very young age, she had already accomplished much in life. Because she had benefited from traveling, studying, and living in Germany, the Elizabeth Ann Eady Memorial Scholarship is designed to help others study there also. Two scholarships each worth up to $3,000 may be awarded upon request of the Eady family. 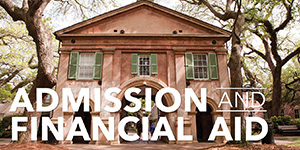 To be eligible to apply for the Eady Scholarship, a student must demonstrate financial need (FASFA elibility), be completing a German Language or German Studies major or minor and wish to study in Germany on an accredited program that has the approval of the College of Charleston faculty. Scholars must demonstrate a genuine joy of learning about the German language. Students may study in Germany during the academic year or summer. 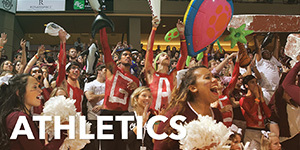 Proceeds from the scholarship may be used to pay for tuition or travel expenses. While a strong academic record is important, Eady Scholars must also be well rounded and committed to improving German-American intercultural relations. 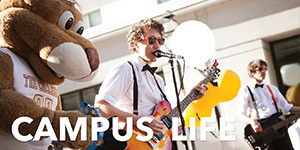 Financial need is a prerequisite; see the CofC Financial Aid page for information on how to determine eligibility. The Eady family will be notified of the recipient, who is expected to keep a journal of her/his experiences and prepare a report prior to their meeting with the Eadys at the end of their studies. 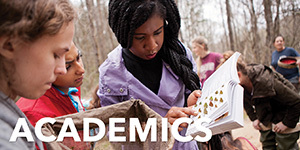 The scholarship can be renewed for a maximum of two periods of study based on a scholar's success as determined by the College of Charleston. The German Friendly Society of Charleston was founded in 1766 in Charleston, SC, for the purpose of friendship and providing for the needs of families of German descent. The Society, located at 29 Chalmers Street, continues today as a benevolent historical organization. It has developed this scholarship to encourage the study and appreciation of the German language and culture. The scholarship is worth up to $1,500 and is available for study in Germany. The scholarship is open to all students, regardless of major, provided that they will be studying in Germany on a program sponsored by an accredited agency, or school, or will be on an approved College of Charleston independent study program. Preference will be given to students who have completed at least one year of German and who are from the Tri-County area. The recipient will submit a report about her/his travels to the German Friendly Society and the German Program. The Deutscher Brüderliche Bund was founded in 1856 for the purpose of friendship and for providing for the needs of families of German descent. The Bund continues today as a benevolent historical organization. It has developed this scholarship to encourage the study and appreciation of the German language and culture. The scholarship is worth up to $1,000. The scholarship is open to all students, regardless of major, provided they have taken one year of German. Students may also use the scholarship as a travel stipend to study in Germany on a program sponsored by an accredited agency or school, or on an approved College of Charleston independent study program. The recipient will submit a report about her/his travels to the Bund and the German department. The recipient will submit a report about her/his travels to the German Friendly Society and the German Program.